Travel Destinations is one of the most long-standing specialist motor sport tour operators in the UK. Hugely respected in the Le Mans 24 hours and the Le Mans Classic sector, with a market leading product range. In addition to the Le Mans product offering you can fly to Australia for the ‘Liqui Moli’ Bathurst 12 hours, America for the Daytona 24 hours and round off the season by driving down to the Mallorca Classic Car Week – to mention just a few of the tours on offer. Coupled with this there is a long-standing relationship with the Jaguar Enthusiast Club, MG Owners Club, Morgan Sports Car Club and TR Register. 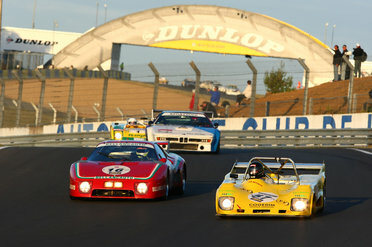 Travel Destinations are proud to be official agents for Le Mans 24 hours, Le Mans Classic and the Spa Classic. The dedicated team pride themselves on their knowledge of the events they offer and the level of advice offered to customers.